Same problem here with paladin. I've got the same problem. 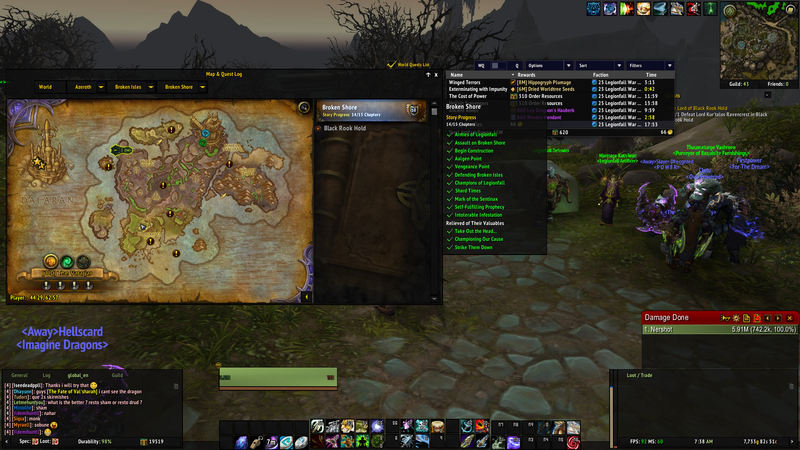 I got 14/15 but Relieved of their valuables doesn't show as complete so i can't get the achievement or get my class mount since i need this complete to start it. any dev update on this? 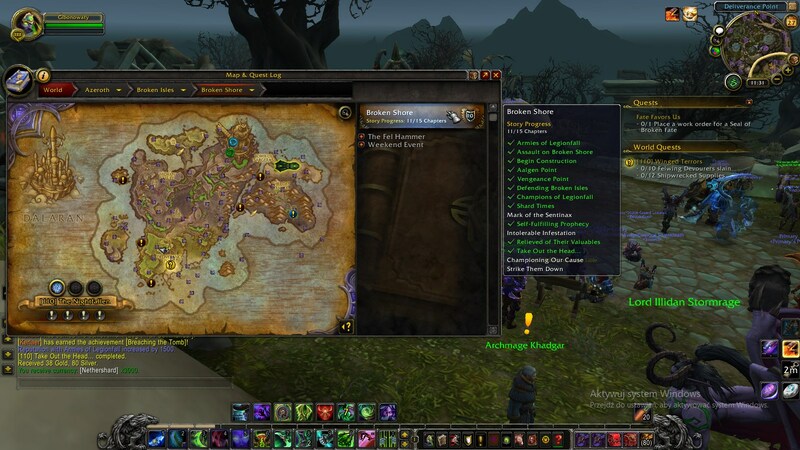 Bug description: Completed all the Legionfall quests, had a rollback and it did not count 3 of the necessary quests for achievement to complete. 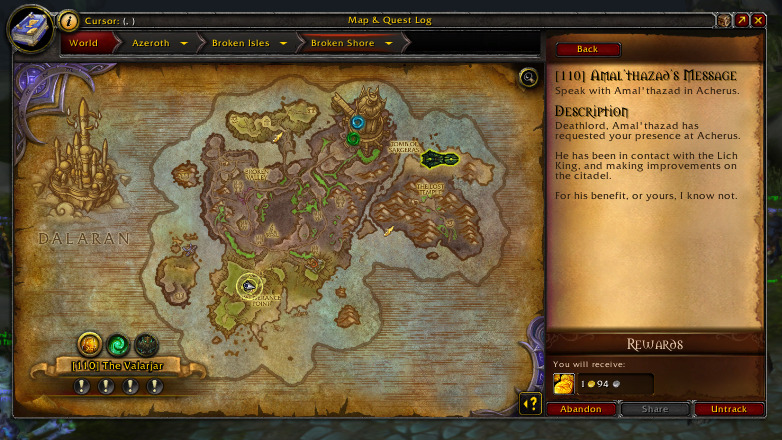 See attached image for proof of progression of quests. Bug description: Hello, I have 2 characters (Amelly and Selinucul) that have finished all the quests for Breaching The Tomb achievement but did not get it, some quest did not registered as done. I have other chars that have the achievement complete but not this two. Confirmed ! 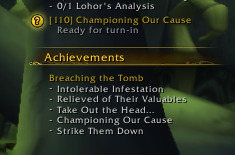 Same issue on my hunter (Riika) Missing the quest "Intolerable Infestation" and "Take out the Head" tho i did all the quests in the Broken Shore story ! The funny thing is that before, when we were limited to only one quest per day, this achievement worked with no issues. 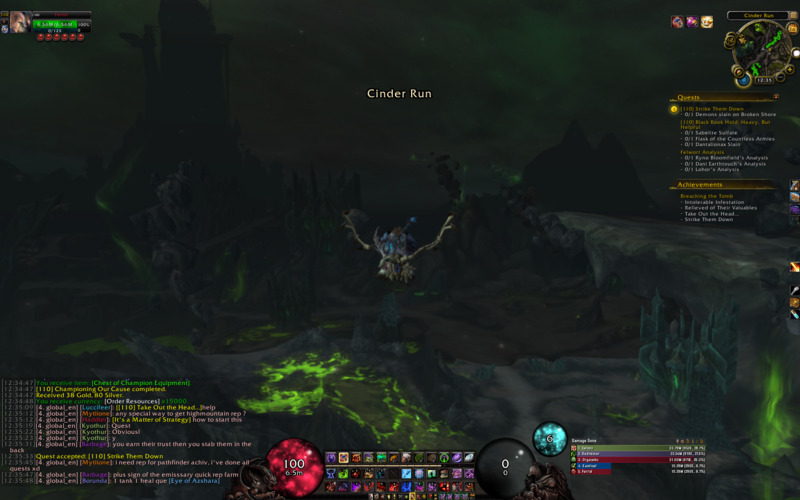 I completed it with no problems on two of my alts and got class mounts with ease. Unfortunately, my third alt got stuck on Intolerable Infestation which I clearly remember doing. As soon as I completed this quest I turned it over, I was somewhat surprised that I had another one available in Relieved of Their Valuables. I picked up this quest and decided to log off as it was pretty late and I had to get up early for work. 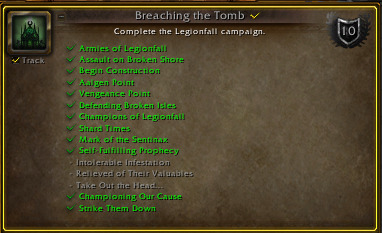 Next day I finished the rest of Broken Shore campaign yet I got no Breaching the Tomb achievement. When I took a look at it, as it is the case with many people here, I noticed that a part of the credit was missing. However, as I know that this particular achievement is important to Freakz staff, I'm not particularly worried that it will remain bugged for too long. Yes, class mounts are great addition to current Legion content, however, they're not something we can't wait for a bit longer. Give the devs some time to look into and occasionally check up for news on the progress. This topic will be on top of the bug quest report section, due to the number of people which will experience this bug, so it won't become irrelevant. There's a lot of content out there you can be doing in meanwhile. Rex: Wrong, dickhead, trick question. Lemmy *IS* a God. The way to fix this issue maybe is to remove the ''class campaign'' aura and its effect permanently.